NEW YORK, (PRNewswire) — KPS Capital Partners, LP announced today that it has signed a definitive agreement, through an affiliate, to sell Expera Specialty Solutions, LLC to Ahlstrom-Munksjö Oyj, of Finland, a global leader in fiber-based materials, for $615 million. Headquartered in Kaukauna, Expera employs approximately 1,800 people. KPS created Expera in June 2013 by completing two acquisitions: the technical and specialty paper businesses of Wausau Paper Corp. and Packaging Dynamics Corporation. “The success of our investment in Expera demonstrates KPS’ ability to see value where others do not, to buy right and to make businesses better. 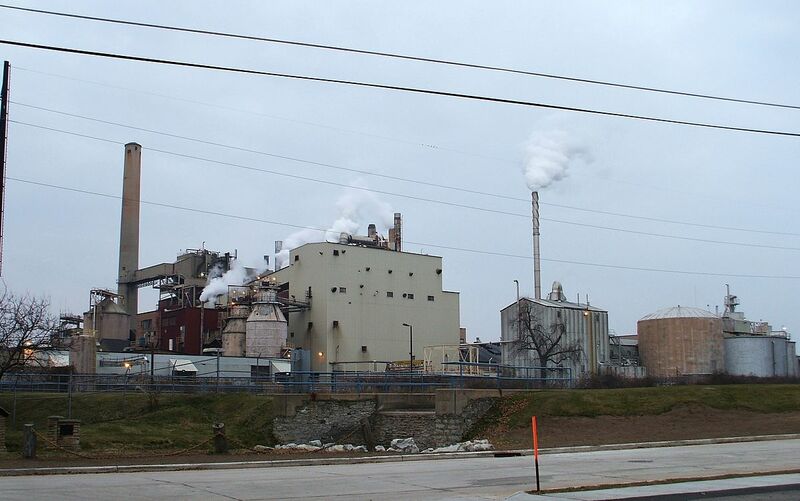 KPS, in partnership with management, created one of the largest specialty paper companies in the world by successfully integrating the acquisition of two distinct businesses, achieving meaningful post-merger synergies, investing in new manufacturing capabilities, funding innovation, new product development and technology, and implementing a culture of continuous improvement. Expera is another example of KPS’ investment strategy achieving success across economic cycles, geographies and industries, and we take immense pride in the Company’s accomplishments,” said Raquel Palmer, a Partner of KPS. KPS thanks the United Steelworkers of America for its support in the creation and ultimate success of Expera. Completion of the transaction, which is expected in the second half of 2018, is subject to customary closing conditions and approvals. Paul, Weiss, Rifkind, Wharton and Garrison LLP served as legal counsel and Deutsche Bank and Barclays served as financial advisors to KPS and Expera with respect to the transaction. Expera is a leading North American manufacturer of specialty paper products for the industrial & technical, food, and pressure-sensitive release liner segments. Headquartered in Wisconsin, Expera employs approximately 1,800 people across four Wisconsin-based manufacturing facilities located in Rhinelander, Mosinee, Kaukauna and De Pere. Additional information regarding Expera, its manufacturing facilities, and its product offerings can be found at www.expera.com. KPS is the manager of the KPS Special Situations Funds, a family of investment funds with approximately $5.4 billion of assets under management. For over two decades, the Partners of KPS have worked exclusively to realize significant capital appreciation by making controlling equity investments in manufacturing and industrial companies across a diverse array of industries, including basic materials, branded consumer, healthcare and luxury products, automotive parts, capital equipment and general manufacturing. KPS creates value for its investors by working constructively with talented management teams to make businesses better, and generates investment returns by structurally improving the strategic position, competitiveness and profitability of its portfolio companies, rather than primarily relying on financial leverage. The KPS Funds’ portfolio companies have aggregate annual revenues of approximately $6.4 billion, operate 120 manufacturing facilities in 25 countries, and employ over 25,000 associates, directly and through joint ventures worldwide. The KPS investment strategy and portfolio companies are described in detail at www.kpsfund.com­.